Per-Olof Åstrand was born in Sätila in western Sweden in 1965 and grew up in Tygelsjö just south of Malmö in the very southern part of Sweden. After a compulsory military service, he moved to Lund in 1985 to study at Lund University for a degree in chemical engineering which was completed in 1990. He then started on a Ph.D. degree in theoretical chemistry with Gunnar Karlström as thesis supervisor and Anders Wallqvist as cosupervisor. His thesis work was on the development of the polarizable force field named NEMO, and the Ph.D. thesis included also theoretical work on far infrared spectroscopy in collaboration with Anders Engdahl and Bengt Nelander as well as molecular dynamics simulations with Per Linse and Kurt V. Mikkelsen using the NEMO force field. He moved to Denmark in 1995 for a postdoc with Kurt V. Mikkelsen, first one year at Aarhus University and then at the University of Copenhagen in 1996-97. In 1998, he moved to Risø National Laboratory just north of Roskilde outside Copenhagen, and in 2001-02 he was part time at the University of Copenhagen and at Risø. In this period he was also included in a collaboration with Kenneth Ruud and Trygve Helgaker at the University of Oslo. In 2002, he was appointed as full professor in computational chemistry at the Norwegian University of Science and Technology (NTNU) in Trondheim, Norway and he thereby moved to his third Scandinavian country. 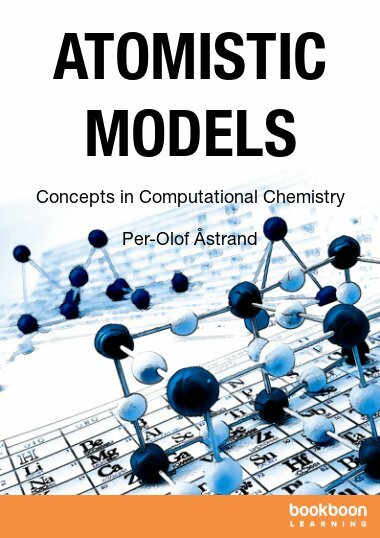 He has been teaching molecular modeling and computational chemistry since 2002. In 2008, he established a new chemistry-oriented course for the new nanotechnology engineering program in statistical thermodynamics, which he has been teaching since then. He is also giving a biannual Ph.D. course in advanced molecular modeling with a focus on the theory of intermolecular forces, the connection between force fields and quantum mechanics as well as the connection between microscopic and macroscopic polarization. Since his Ph.D. work, his research has covered a broad range of theoretical chemistry including applied quantum chemistry, vibrational motion, force-field development and molecular dynamics simulations. Many of the projects have been carried out in close collaboration with experimental groups, most noteably work on far infrared spectroscopy on bimolecular complexes (Anders Engdahl and Bengt Nelander, Lund), THz spectroscopy on liquid water (Cecilie Rønne and Søren R. Keiding, Aarhus), azobenzenes in optical storage materials (P.S. Ramanujam and Søren Hvilsted, Risø), and more recently work on heterogenous catalysis (Magnus Rønning and De Chen, NTNU) and electrically insulating properties of dielectric liquids (Lars Lundgaard, SINTEF Energy, and Mikael Unge, ABB Corporate Research).